In this blog, we will understand how we can find employees hired last month or year. 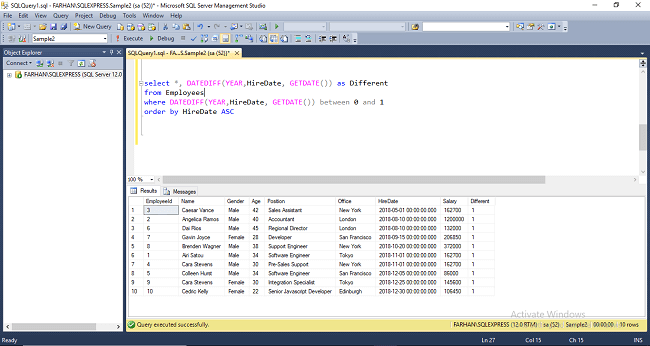 We will understand DATEDIFF function in SQL server. 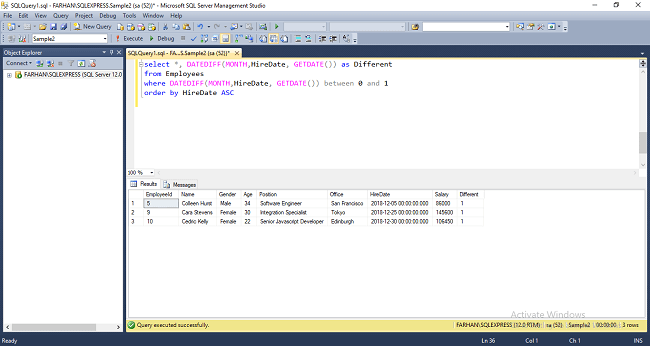 The DATEDIFF function is used to calculate the difference between two dates. 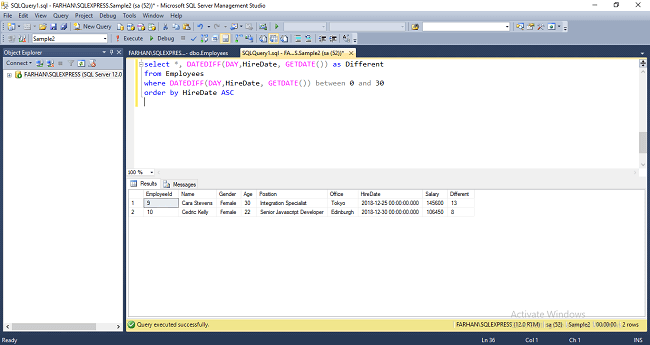 Here the data type of <expression1> and <expression2> is some type of date, time, or datetime. The result is <expression2> - <expression1>.